Learn English With Songs - A Good Idea? Hi I am AJ Hoge, the director of Effortless English. It’s time for today’s student question. Here is the question: Should I use songs to learn English? This is a very common question. So many student ask met his: AJ, should i use songs, should i listen to music, English music, English songs, pop songs to improve my English? Because, you know this sound fun right? I understand the question. 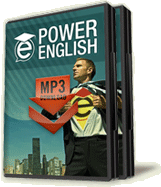 It sounds fun, listen to music in English to improve English. However, you may not like my answer but I say no. Do not use songs to learn English. If you enjoy songs there are in English, fine listen to the music. Because you enjoy the music, dans, have fun and enjoy it. But it is probably not going to help your English listening or speaking very much. Why not? Well, the main reason is that song are very hard to understand, most of them. I mean, to be honest, when I listen to pop songs or rock music or what ever, uh hip up if I listen to many times, I can not understand the words. It is hard to hear what they are saying. Because when people sing, they change the way pronounce the words. They change the natural way of speaking, right? They are not speaking, they are singing. So you probably know this in your own language. Sometimes you listen to songs in your own language, you can’t understand what they are saying. So that’s the first problem, It is hard to understand. Many times it is hard to understand. Problem number two, even if you understand the words, the individual words, you probably don’t understand the meaning. You many not understand the meaning. Again, I don’t understand the meaning of many songs. Why, because it is like poetry. Sometimes there is no obvious meaning, right? It is a lot of different words but who knows what it means. We have no idea. May be the person who wrote it does not know,right. So this is a bad way to learn English. Because you are listening someting hard to understand, the pronunciation is unnatural and the actual meaning of the sentences is unclear, strange it is more like poetry, it is not normal English conversation. So for all of these reasons, using songs to improve your English speaking it’s just generally not a good idea, don’t do it. It is a wasting your time. Listen to real conversations. Listen to audio books. Even listen to someting like this like just someone speaking real normal English. That is much better. Focus on that with your English listening not on songs. Enjoy the songs, have fun with them, but don’t include them in your English learning. And that is today’s question. To learn more about the Effortless English system, visit our website at effortlessenglishclub.com I will see you there, bye bye. AJ I love you, you are the best English teacher I ever met, thank you!